Happy Friday SCT Friends! It’s February 1st. For so many of us in the grips of the polar vortex here in North America, we are happy to see January come to an end. Seven weeks until spring. We can do this! February is also a month where we get to celebrate Valentine’s Day which we feel we did quite a bit this week with Marcia Dehn-Nix’s sweet layout HERE on Monday and Layle Koncar’s amazing February Traveler’s Notebook reveal on Wednesday HERE. Did you notice both featured the same sweet collection, Kissing Booth from Simple Stories? We love this collection that’s all about love! Our friends at Simple Stories who wanted to share this collection with one lucky SCT reader! With messages of love, large blooms and a swoon-worthy colour palette, Kissing Booth is perfect for capturing all your Valentine’s memories. If you would like an opportunity to win this collection, be sure to leave a comment below by Thursday, February 7th! Good luck! Want to see more of this collection? 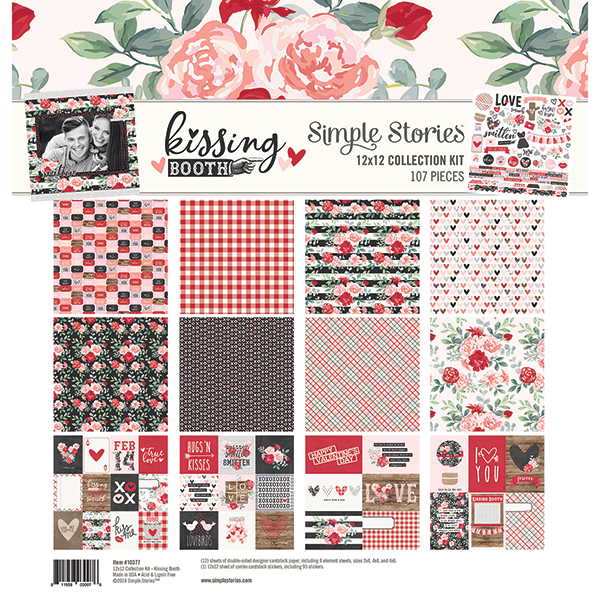 Be sure to hop on over to the Simple Stories blog and search “kissing booth” and you’ll see more gorgeous projects using this collection! After that, please head over to the Simple Stories Facebook page and give them a “thank you” for today’s giveaway. Thank you Simple Stories for sharing a week of love right here on the SCT blog! Last week we offered a fun Creativation mystery box. The winner of this fabulous package is…. Congratulations Patricia! 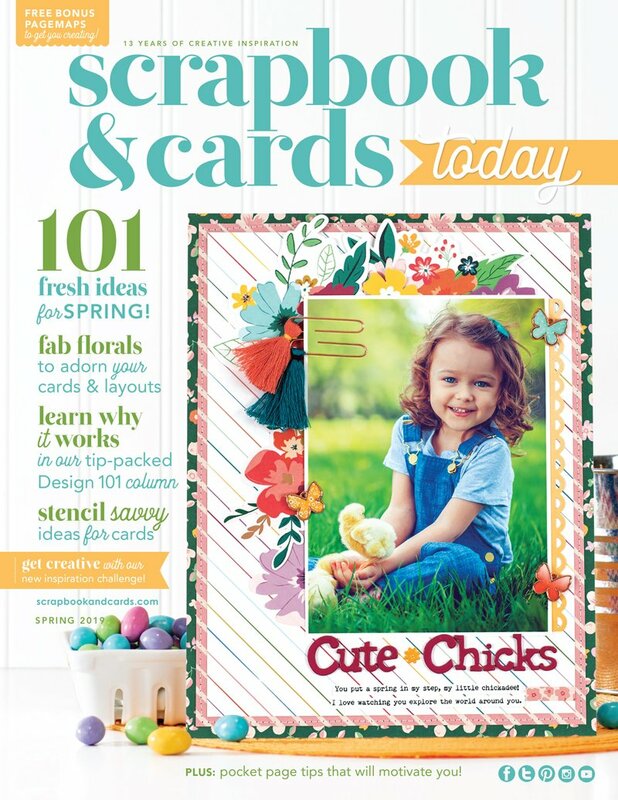 Please send your mailing address and telephone number to us at ideas@scrapbookandcards.com. Have a wonderful Friday, friends! Keep warm. Simple Stories is one of my favorite manufacturers. I would love to get a chance to work with this collection for anniversary, birthday and Valentines photos. February is one of my favorite months too. Such a pretty collection. Would love to win it. Thanks so much for the chance! So pretty!!! This would make a great birthday gift for me!! This collection from Simple Stories is just gorgeous. Love the colour palete, blooms, woodgrain and everything about it! Thanks for sharing and the chance to win! How Beautiful is this collection! I just love the colors schemes; soft pinks, reds, greens, oh my! I’m swooning over this lovely collection! It is so lovely! This collection is stunning! The colours, the patterns, the feelings – who wouldn’t feel the love with this winning collection! What a great collection! After the coldness of the Canadian prairies these past few days, this warms the heart! Such a lovely collection filled with everything I need to complete a project! This is perfect for Valentine’s day and also all those adorable photos of my 21 month old granddaughter! Thank you for another wonderful opportunity! What a fabulous collection for February! Lovely collection! Thanks for the give-a-way. What gorgeous papers, I see Mother’s Day cards in this bundle. I love this collection from Simple Stories and I already have plans to scraplift Marcia’s page to use for my Valentine page with hubby (I bought us cute V-Day t-shirts, he doesn’t know yet) and I love love love Layle’s ideas for my Traveller journal and can’t wait to start playing with it. ADORED my January Sampler… CANNOT wait to see what goodyou are sending us for Le Mois De L’amour ❤️ Thanks SCT you are so much fun. This is absolutely beautiful!!! I’d love to win this and do a journal for it. Love is always in my heart and soul…. Congrats to the winner of the box!!! ohh so soft and pretty!!! I would love to win this collection and use it after our valentines date this week!!! great paper. thanks for the chance. This is a lovely collection of Paper and just in time for Valentine’s Day. Should make some beautiful cards! This is such a pretty collection! Very nice designs, I’m always on the look out for small design patters for small paper craft projects. I love Simple Stories products and projects! Fantastic! wow, I love simple stories, they always do a fabulous job at products. These colors and patterns are irresistible for Valentine’s Day! Simply beautiful! Love Simple Stories! Simple Stories collections are one of my Favs. It would be such a joy to win this sweet collection. Thanks . I love Simple Stories products, and this line is adorable!! Thanks for sharing!!! What a wonderful collection of papers! I would love to add it to my collection! The family is so excited for our tradition of making cookies. This looks like a great collection to scrapbook those memories. February is also my birth month! I am so happy that it’s associated with hearts & love & red roses. This collection is beautiful and so perfect for February. SS is my all time FAV line and company. So versatile! Oh Sweet Valentine Day, one of my favourite celebrations every year. I am currently in Montreal, the city of love where I enjoy your posts. Simple Stories’ Collections are ALWAYS simply beautiful. No exception this time. Beautiful!!! Oh My Goodness! This collection give me warm fuzzies! I love the color combination they used. And that is totally beside the fact that I love all Simple Stories Collections. I have been wanting this collection since the first reveal by SS. Such beautiful and timeless colors and patterns. Awesome. That’s for the chance to win. This is an awesome collection! What a beautiful collection. Simple Stories is simply amazing! Kissing booth has great graphics. This collection is stunning for so many special projects running through my head. Thank you for all the inspiration! What a beautiful paper collection! I use Valentines collections all yearlong. They go with everyday life. This collection is so beautiful. Can’t wait to see it in person. As always Simple Stories has outdone themselves with this new collection. Love it!! 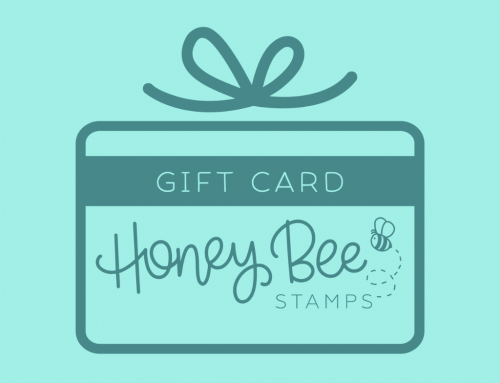 Thanks for the chance to win it – so many projects I could do with this. beautiful collection! thanks for the chance to win! This is a lovely collection, I would love to win it. Absolutely love Simple Stories!! Thanks for the chance to win this beautiful collection! Beautiful collection! I love the products from Simple Stories! I love almost every collection that Simple Stories creates…and this one is no exception! This Simple Stories “Kissing Booth” collection is awesome, I would love to win it! Beautiful.My daughter loves roses,pinks,reds,so nice to see after a dreary winter.Lovely work Simple Stories. Loved the TN that was posted!! I love Simple Stories and this collection is definitely one of my favorites! It’s hard to believe we are into February already and I haven’t even thought about making Valentines cards let alone create layouts. This paper would make both tasks more fun. I have been a fan of Simple Stories collections for a long time. Thanks to SS and SBCT for the chance to win this line. A lovely collection for memory keeping. I love Simple Stories collections. Beautiful collection! Love the colours. I like the feminine collection. February is an appropriate time to release it. Hoping to win. This is such a pretty collection! Love Simple Stories products! I’ve seen some beautiful projects made with this line and would love to create something with these papers. Love that Simple Stories used some non-traditional Valentine colors and patterns! This a lovely collection, the colors are so beautiful! Beautiful color palette, thanks for the opportunity to win. Beautiful Valentine’s collection. I love the papers from Simple Stories. Beautiful collection-thanks so much for the chance to win it! I love ( no pun intended 😉) every collection that simple stories puts out! This one is no exception, and I really adore the colors and lovely images! Thank you so much for the chance to win! This is a wonderful collection from a great company! Thanks for the chance. Such a beautiful collection. Perfect for this time of the year! What a fabulous paper pad! The ideas are already brewing! My heart is fluttering over the pink-red colours in this collection. It sends me warm vibes to the cold winter spell that we’re having. Thanks for brightening my day! Lovely 💗 colors and florals! So beautiful for Valentines Day and other ❤️ ly occasions! Thanks for the opportunity to win. One can never have too much paper! Absolutely adorable! The classic “love” colours with wood grain are fabulous and the bits of black make everything pop! Simple Stories really does have some of the most influential collections. Their design team is top notch. This would be a fun collection to remember a special day. I have to admit I did splurge a bit when I found out they had a sale going on with their digital kits last year. Awesome stuff! Great contributions from the DT this week. I am so close to starting my first TN. Simple Stories collections always find theirway into my stash. This collection is gorgeous. Love the colours! Good for all year too. I love Simple Stories collections. Thanks for the chance to win this. Such pretty papers! I love the beautiful flowers and just gorgeous colors. Thank you for a chance to win! Simple Stories have really outdone themselves with this Lot! Love the vintage feel. Thanks for the opportunity! What a gorgeous collection! I have always love red, black, and white together and then to add roses…. WOW! This is gorgeous and I can think of so many uses for it! That is,if I don’t just hoard it, cuz it’s stunning! I love Simple Stories!!! Thanks for a chance to win this beautiful collection! Love the collection, especially the florals. Thanks for the opportunity. I just love this collection! It is gorgeous! Simple Stories makes amazing collections! I just adore Simple Stories and this collection is beautiful! Love this collection! It’s more “earthy” than the usual Valentine collections I’ve seen. Way to go Simple Stories! Kissing Booth-How cute is that name for the fabulous collection! Pretty collection! Simple Stories always knows how to package a perfect collection for my scrapping and cardmaking needs! Thanks for the chance to win! Kissing Booth is so fabulous!!! Love this collection!!! Fingers crossed!!! Thanks for this chance to win and congrats to Patricia!!! I like the mix of florals & graphics. It would be fun to win it! Love Simple Stories and this collection is terrific. Perfect for layouts as well as card and home decor items. Thanks for the chance to win such a great package from an awesome company. This collection is so nice, it will be perfect for the pages I want to do for all those I love, including those with fur, crossing my fingers. Oh, this is such a gorgeous collection – but then it’s Simple Stories, so of course it’s gorgeous! Love the collection with so many different paper designs and extras. I love the colors! Thank you so much for the chance. This is beautiful paper. I love, love, love Simple Stories! And who doesn’t love Valentines Day? Love the versatility and coordination of Al the Simple Stories kits. What a great collection! Just in time for Valentine crafting! Simple Stories has done it again! Beautiful collection! What a sweet and fun collection! So many creative possibilities. This Valentine’s day will be the 35th anniversary of our first date. I think this paper would make a great card to celebrate that milestone. I love the colors and designs. this lovely collection warms the heart, if not the hands! What a beautiful collection! I love Simple Stories. This is such a nice collection. I would be very happy to win it. All the projects with this collection have been so sweet. Thanks for the chance. Oh la la! Love this and simple stories!! I absolutely adore the colors and prints in this lovely collection! It is better than amazing and should be on the way to prettiest collection this year! TFS! I am loving this collection. Simple Stories always make great theme collections. WOW! What a lovely collection, and that would certainly warm anyone’s heart. Especially over there in North America at the moment. Thanks for the chance to win. Thanks for the chance to win. You’re freezing & my city is flooded, experiencing a 1 in 100 year flood. What a great collection for spring and Valentine’s Day! Simple Stories has such a beautiful collection I wish it was a cotton material selection. I would love to wear it. Love the black added to the traditional Valentine colors! And the barnboard! Would love to win this. Love this. Simple Stories has the most incredible collections and this one is so beautiful! I’ve loved seeing all the inspiration with this kit. Thanks for the chance and good luck to everyone! Would love to win this beautiful collection! It’s that down to your bones cold… a good time to Netflix and chill with……The Kissing Booth maybe?? 🙂 Ya, I know, corny but what could be more fun than watching that movie on a cold day and creating some amazing projects with this collection of the same name!!! Awesome project using the gorgeous SS new collection!!! Another beautiful collection by Simple stories that I HAVE TO HAVE! Just gorgeous! Thank you for the chance! Pretty collection. Love it! Thanks for the chance to win. Such a lovely collection of papers! Thanks for the chance to win. Such a stunning collection! I am in Chicago we got down to -56! I love the projects! Thank you for the chance to win!!! This collection is rich in colour, flowers and warmth! 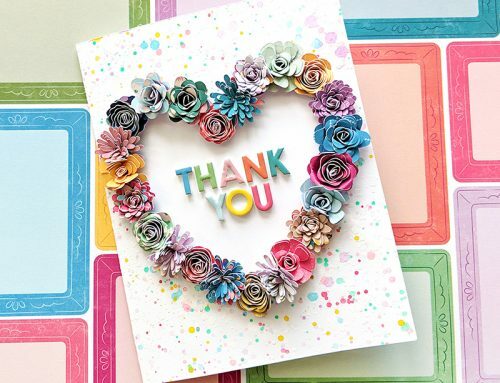 Love each and every paper design in this collection! I watched Layle Koncar’s video using this collection for her Travelling notebook! She always knocks those out of the park! Super, duper collection Simple Stories and would love to win! I truly love this collection that personifies romance. Would love to be the lucky winner. Thanks for the opportunity. This is really lovely. Gorgeous colors. Love simple stories and this collection is so pretty! Thanks for a chance to win. Simple Stories is ALWAYS my go to product line! This one looks fantastic! My local scrapbook store was out of the papers in this collection that I wanted most. Now is my chance. I could make so many wonderful things with this Simple Stories line. This paper is so pretty and would love some. I plan to buy from you in the future when my budget gets in line. Thanks for everything you show us! Love everything Simple Stories. Have made their December Documented album for the last two years and will again this year. SS papers are so beautiful, especially this collection. Thanks SCT. I love the 2 neutrals brown and black together as a base for the pink and red in this collection. Love love Simple Stories,.. I hoard their paper, and only finally have started using it more.. I always thought there would be better photos for the paper. LOL Thanks for the great giveaway. Love the old fashion flowers-perfect! Sweet collection of product. 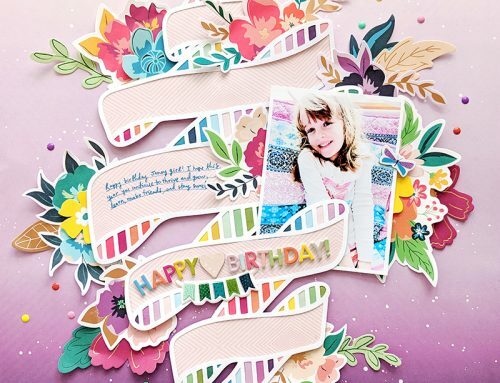 Simple Stories always has such wonderful product to use on the scrapbook page, card front or even in my TN. Such a pretty collection! Perfect for so many different cards and layouts. Just the pick-me-up during this cold and dreary winter! Love me some red gingham checks and so perfect florals! Love the flowers in this collection! Perfect for my daughter’s scrapbook! Simple Stories has so many beautiful collections and this one doesn’t disappoint! 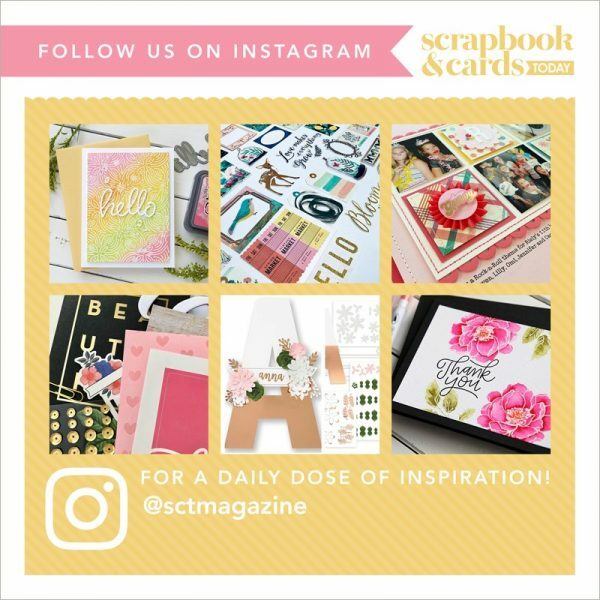 Thank you Scrapbook and Cards for offering this giveaway. Love this collection! Would love to have these in my stash! Pick me! Love this paper pack and love simple stories—such a pretty paper. Thanks for the chance to win! Beautiful – would love to scrapbook this paper. Simple stories has done it again… gorgeous! 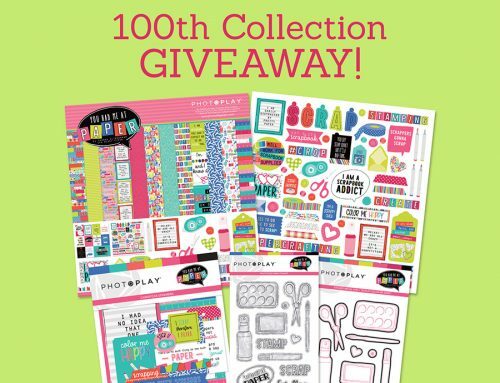 Photoplay Paper celebrates it's 100th collection with a GIVEAWAY!